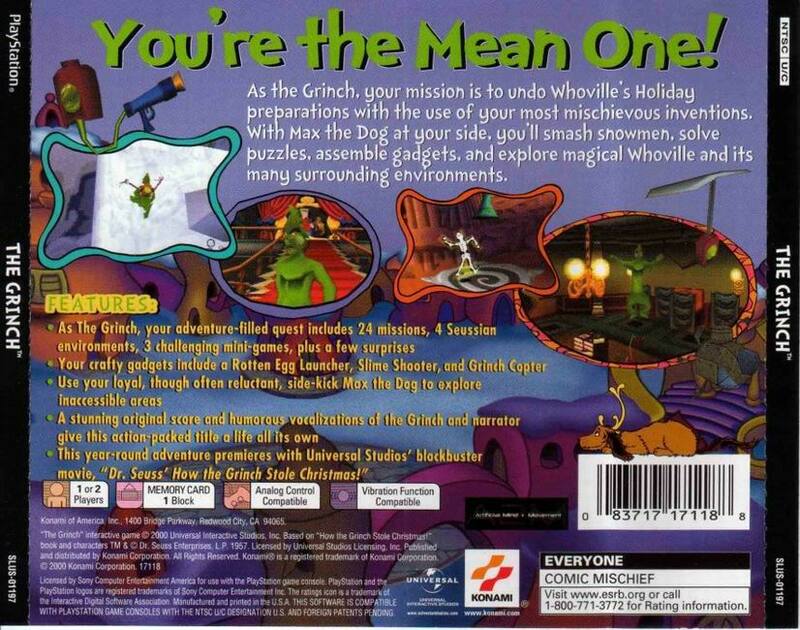 OverviewThe Grinch is an action-adventure game released alongside the Jim Carrey movie based upon classic Dr. Suess book The Grinch Who Stole Christmas. Help the Grinch and his dog max, to destroy the Xmas and to finish all of his levels, in this amazing 3D Adventure. Now you can add videos, screenshots, or other images (cover scans, disc scans, etc.) 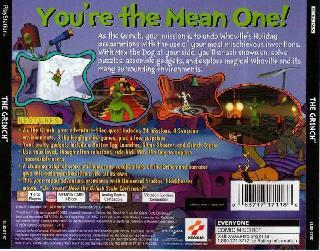 for Grinch, The [NTSC-U] to Emuparadise. Do it now! If you haven't noticed yet, we have a retro game of the day feature (top-right of the screen) wherein we feature a new retro title every single day! Now, you can vote for your favorite games and allow them to have their moment of glory. 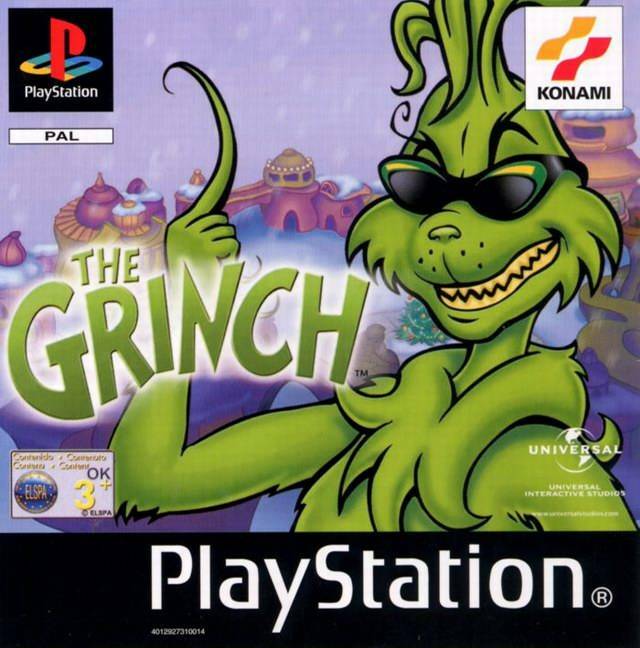 Click on the button below to nominate Grinch, The [NTSC-U] for Retro Game of the Day.